Pivotal has helped the world’s most recognized brands and startups learn and adopt the methods required to build reliable, scalable software products. 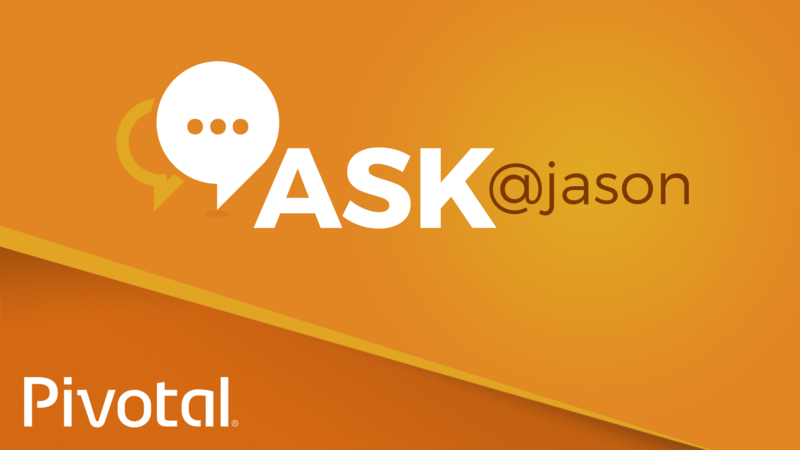 Today, it’s a special #AskJason: mobile, wearables & Internet of Things (IoT) edition! Jason lends insights to fans’ pressing questions on m/w/IoT, including mobile-first strategies for new startups, the security of IoT (everything is connected: where is too much?! ), is mobile taking over design and content?, opportunities in the massive smartphone penetration in emerging markets, and the challenges of growing mobile hardware using lean startup methods. This is the first in a series of special #AskJasons presented by Pivotal. LAUNCH & Pivotal are teaming up to host Mobile, Wearables & IoT at Fort Mason in San Francisco, October 15-16. More info at: launchmw.com. Join us!